Thank you for your interest in the Hamilton County Preschool Center. We offer no-cost, comprehensive, part-day and full-day classrooms which serve three-to-five year old children. The program is funded through the Illinois State Board of Education’s Preschool For All program. 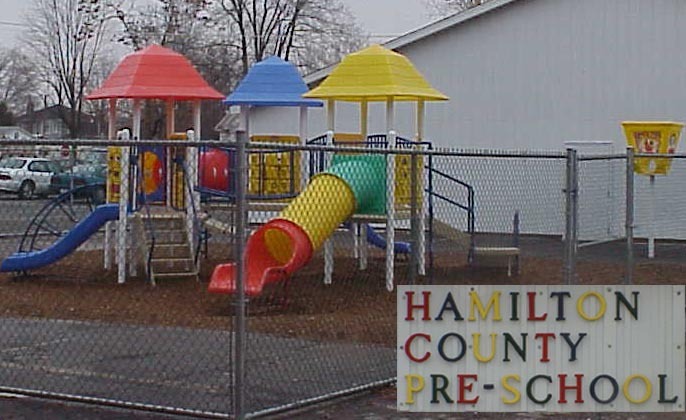 Hamilton County Preschool Center also offers full-day Childcare for children ages 18 months through 5 year of age as well as before and after school childcare for school-age children. 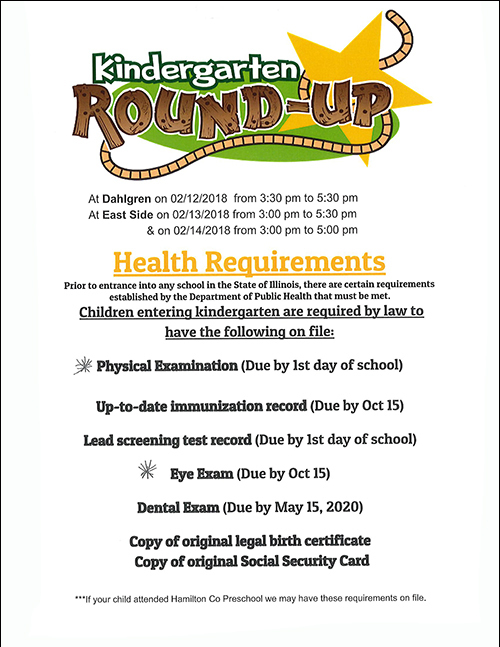 The program is monitored for quality by Illinois Department of Children and Family Services (DCFS) and the National Association for the Education of the Young Child (NAEYC). The preschool program strives to offer a high quality experience to prepare young learners with early academic and social skills, in order to be effective learners in kindergarten and throughout their educational journey. We serve over 120 young children in a safe, cultural, linguistic, and developmentally appropriate setting.